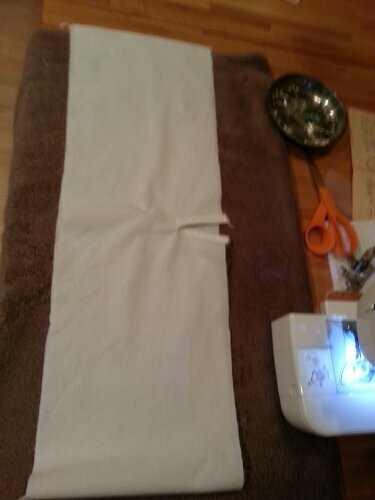 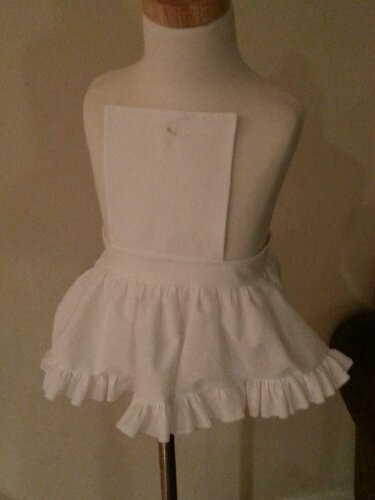 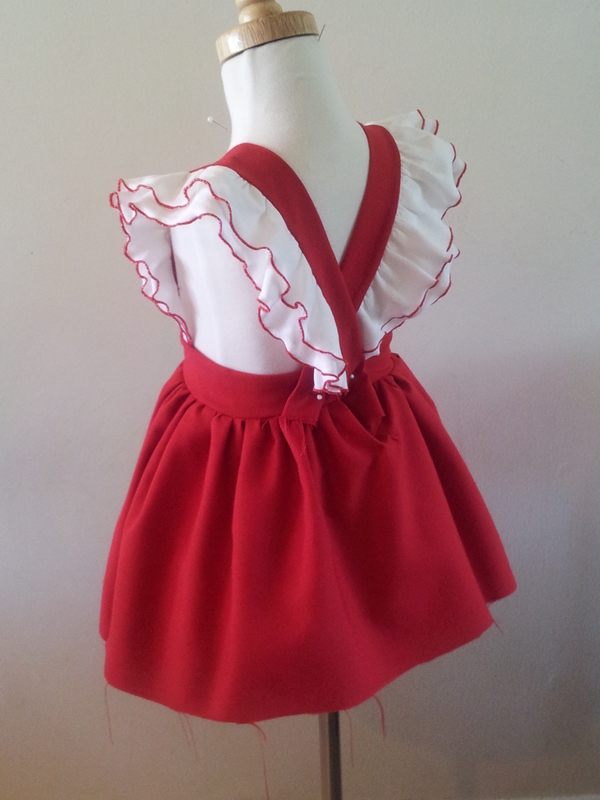 I decided to make another pinafore because this is the item that I am contacted about most. 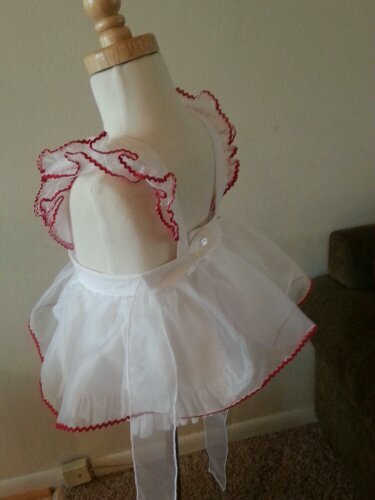 I’ve made these dresses several times from a variety of materials and I am happy with the look each time. 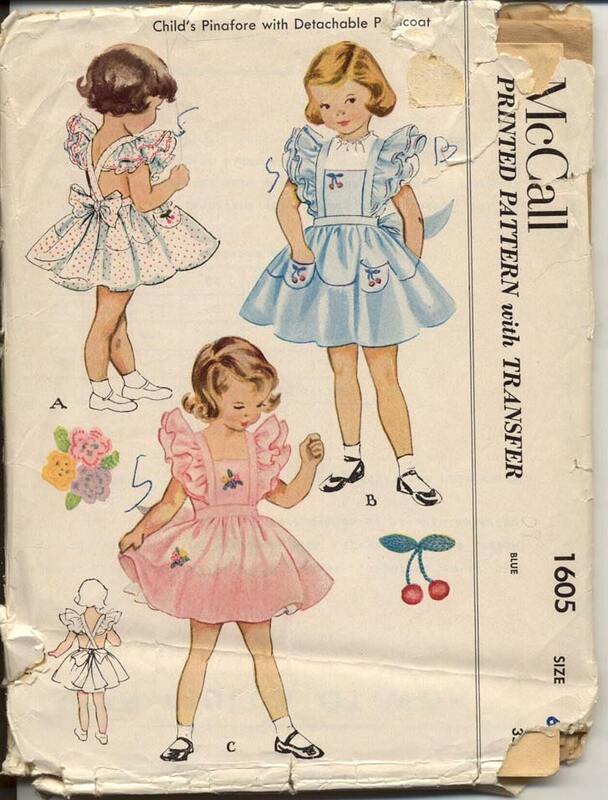 This is McCall’s pattern #1605 from 1951. 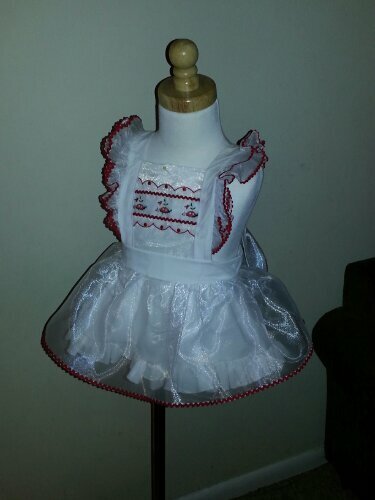 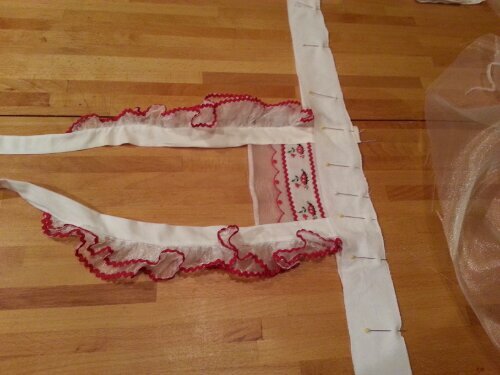 It makes a pinafore dress (outer) with an attached pettiskirt (interior) that buttons into the pinafore creating one dress. 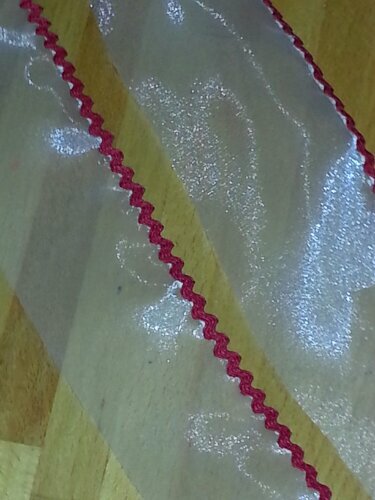 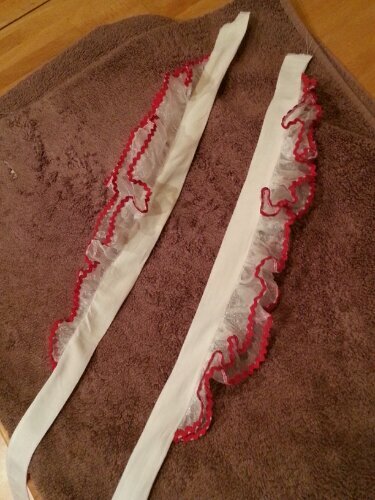 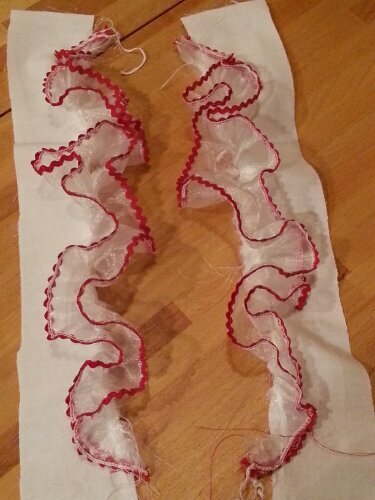 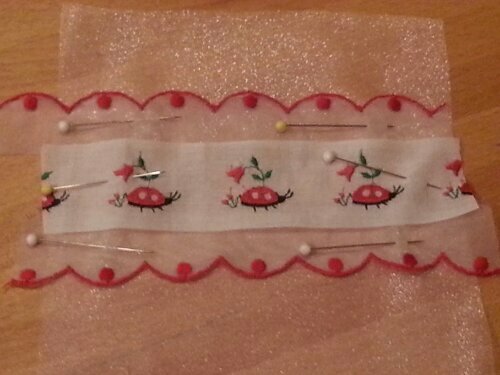 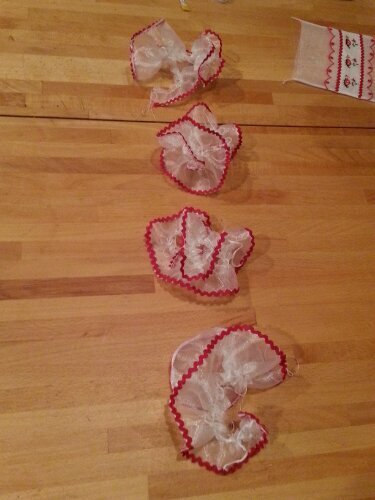 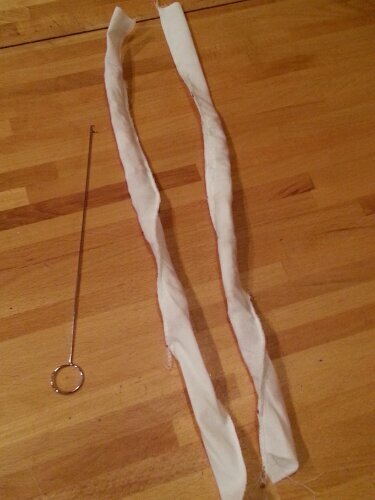 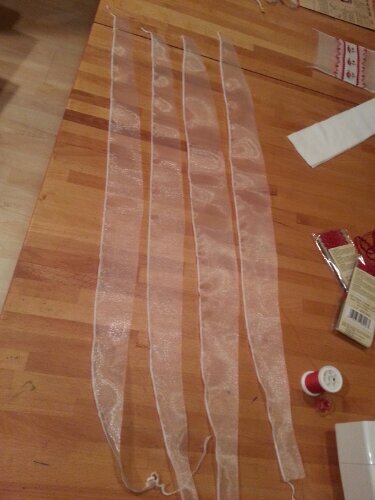 Several different pinafores can be used over a single pettiskirt. 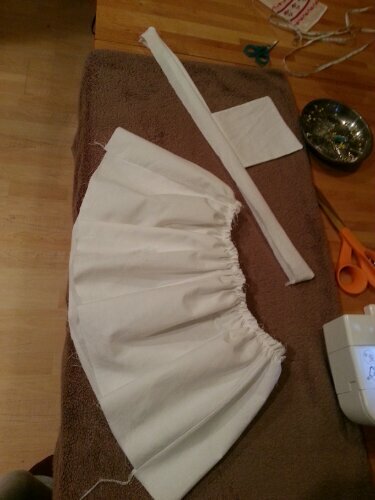 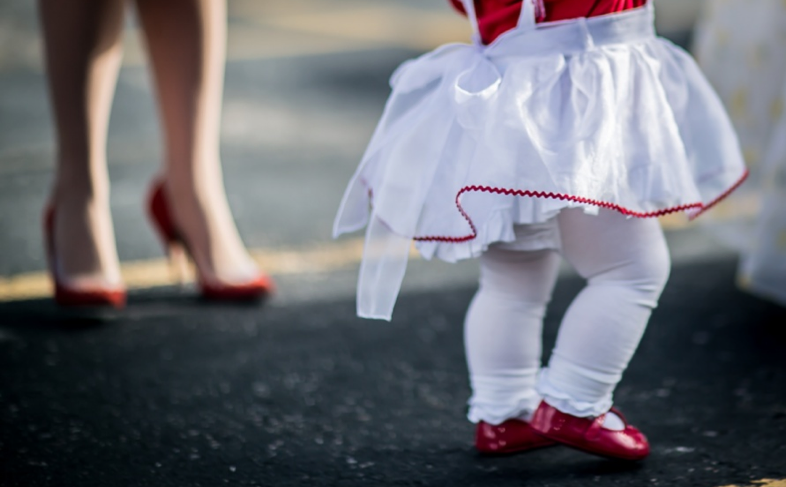 The pettiskirt ensures fullness to the pinafore giving it that classic full skirt. 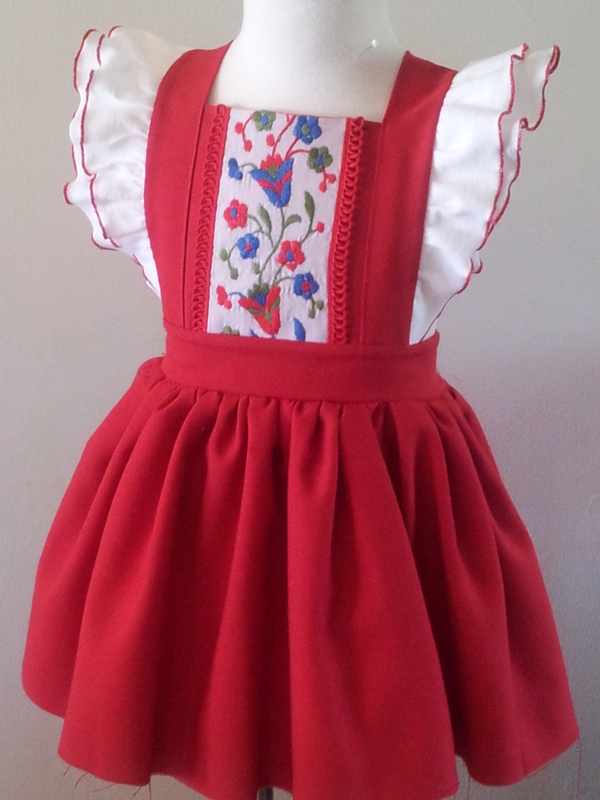 The pattern enlarges and reduces size easily and is very simple to read despite the double layer and exact button matching. 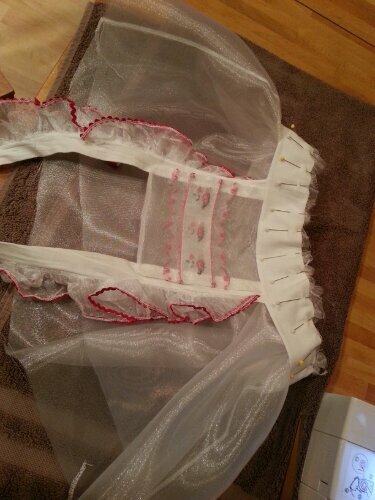 This dress has a total of 8 buttons connecting the dresses. 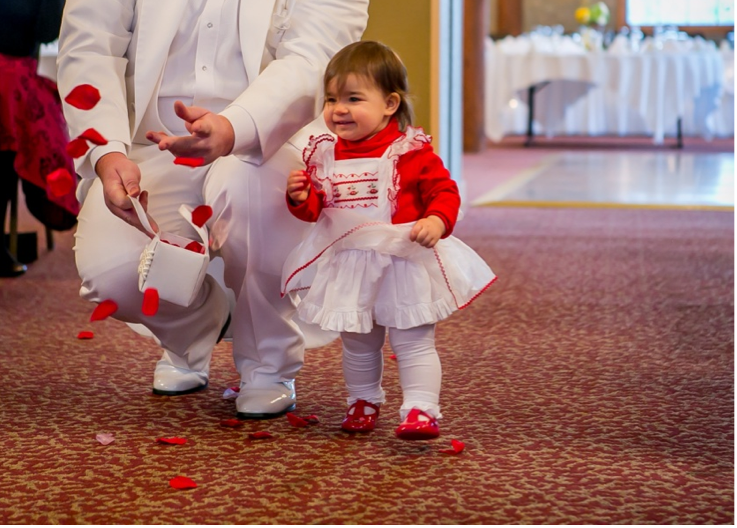 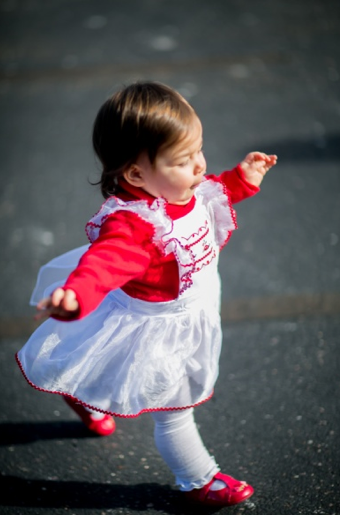 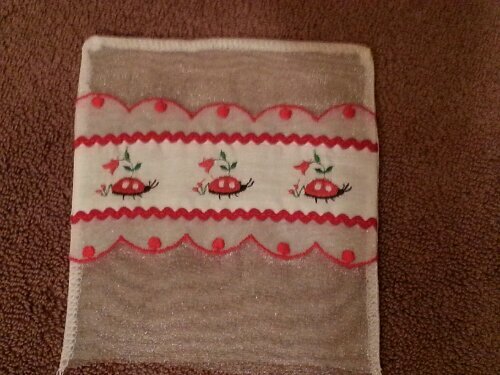 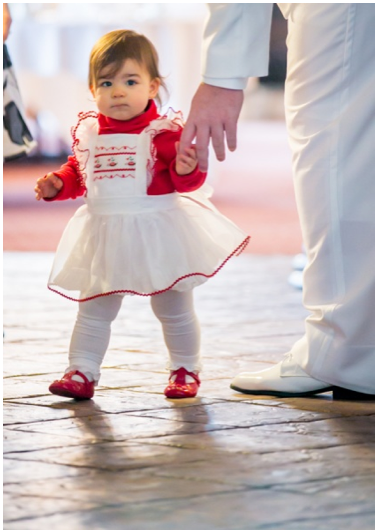 I used red linen and white cotton with a strip of vintage red and blue floral strip in the bib with a red scallop trim.